My son and I made apple pie. 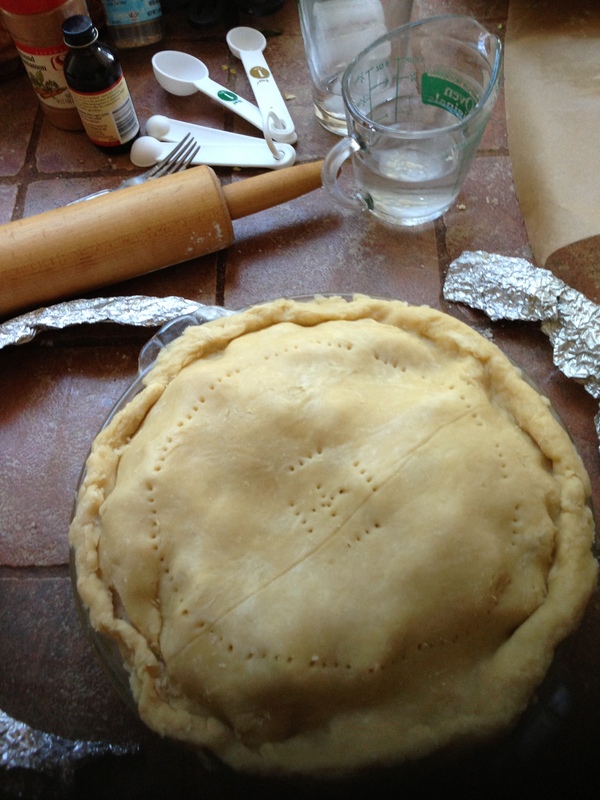 We even made the crust from scratch. I was surprised at how good he was at this until her reminded me that he is a ceramicist. Used to working with clay, he is very good at pounding and crimping doughy substances. We won’t fire this particular creation, though. How American we are is another matter. Of his four grandparents, only one was born in the United States. Thanksgiving is, however, an easy holiday to adopt. Though I do confess that in my childhood home there was very little discussion of the Indigenous North Americans who made the original–if much mythologized–Thanksgiving real. That was a school event, and practiced more assiduously by my children’s teachers than my own. Did your family or school teachers remind you of the origins of Thanksgiving? Or did you all gather, thankful for family and food, and dwell instead on the present or on the religious overtones that Thanksgiving–originally, I believe, a secular holiday–has taken on? Wishing everyone a warm and peaceful Thanksgiving, with good and wholesome food to eat! This entry was posted in Uncategorized and tagged American, apple pie, ceramics, clay, crust, dough, family, home made, indigenous Americans, NaBloPoMo, religious, school, secular on 2013/11/28 by Circe.